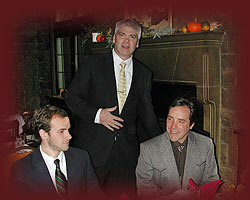 The Dining Etiquette for Servers program is targeted for hospitality service professionals. Too often etiquette programs are provided for guests, ignoring the hospitality team. Hospitality professionals are an integral component of the dining experience. They represent and personify the dining establishment and serve as representatives of the meal’s leader, host, or hostess. Many of the duties and decisions to be made by the meal’s leader are delegated to the hospitality team. The Dining Service Etiquette program provides hospitality professionals with a broad dining etiquette perspective. The value and purpose of etiquette is reviewed, from both the guest and hospitality point of view. Specific guidelines and behaviors are then discussed, again from both perspectives. The entertaining and often amusing presentation enhances audience attention and content retention.